Gerbing's Heated Sock Liners are the best battery powered socks available on the market. These new Gerbing socks come ready to use with 2 new red batteries and dual battery charger. Gerbing Core Heat 7 battery powered sock liners provide ultimate warmth during all of your winter activities. 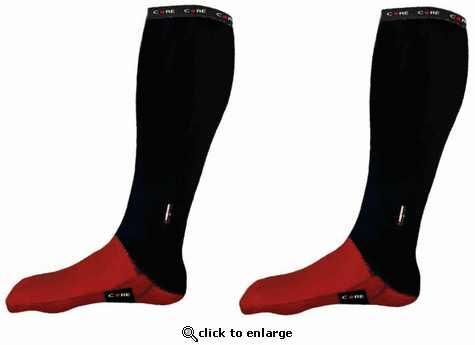 These great heated socks warm your entire foot and also wicking moisture to keep you warm and dry. With Microwire heat technology your feet will stay warm for hours on each charge. If you have ever suffered from cold feet this is the product for you. You can now have warm feet wherever you go. Keep in mind the socks will put out serious heat and you will need to use the controller on the battery to regulate for optimal thermal comfort. 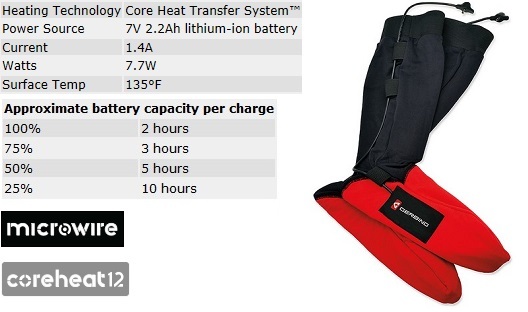 Gerbing Core Heat 7 Battery Powered Clothing: The Core Heat 7 thermovelocity system is powered by 7V lithium ion batteries that provide mobility and warmth for any outdoor activity. Coreheat7 garments are designed to keep you warm while hunting, working, skiing, or just walking the dog. Gerbing Microwire Heating: The Microwire system is the most durable and efficient thermo-technology platform ever developed. Products incorporating Microwire technology utilizes patented micro-sized stainless steel fibers intertwined and encased in a proprietary waterproof coating. Gerbing Microwire technology will provide even heating for ultimate comfort. Gerbing Core Heat 7 Volt Battery Products Include: Includes the battery and charger you need to power your Gerbing heated product. You may purchase additional batteries and extended-life batteries for prolonged use. Due to the nature of this product, returns available only if item is new/unopened. 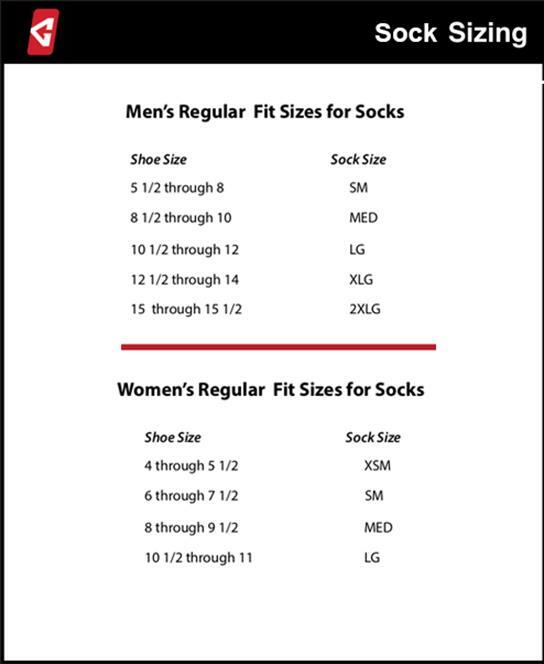 When you purchase a Gerbing's heated garment within the United States, the electrical components of the garment are warranted to be free from factory defects in materials and workmanship for the lifetime of the garment. All [non-electrical] components of the garment are warranted to be free from factory defects in materials and workmanship for a period of one (1) year from the date of the initial purchase. You find anything wrong with the sewing or materials of any clothing you buy from us within the first year that was due to our negligence or mistake, or if any problem develops during the first year due to our negligence or mistake, we will fix it for free. All you do is pay for the shipping and handling. Gerbing's Temp Controllers and electrical components of Accessories are warranted from factory defect for three years from the date of the initial purchase. Any alteration of the product voids the warranty. Gerbing's rechargeable Lithium battery packs and chargers are warranted from factory defect for 90 days from the initial purchase. Any alteration of the product voids the warranty. Special care should be taken to prolong the life of your battery. It is important that you charge your battery regularly and that you maintain at least 25% of your battery power when not in use or left idle. Batteries must only be used with products with an amp rating less than the maximum power output rating for the battery. Gerbing's will repair or replace any battery or charger found under normal use to be defective during the warranty period. Our warranty does not cover damage caused by misuse, accident, abuse or improper care. NOTE: Manufacturer's warranty applies to the original purchaser. You will need to register your product to guarantee a warranty. A motorcyclist rides to work at an aeronautical machine shop. It\xCDs frigid, wet and blustery. The faster he goes, the colder he feels. Shop owner and engineer Gordon Gerbing is inspired. Gerbing Thermovelocity Protection\xBB is born. For over 40 years Gerbing has been developing self-heating technology to overcome cold at speed. Whether you're jumping out of an airplane at 30,000 feet, ripping a first decent at sixty miles-per-hour or running wide open on your bike in the dead of winter, Gerbing Thermovelocity Protection\xBB delivers the highest performance and most distinctive designs in the outerwear market. We are born from aeronautics. Fueled by a passion for motorsports. And engineered to withstand the fridged conditions of the pacific northwest. Gerbing makes wearable technology specifically designed for the temperature of speed. I've tried a lot of different heated socks over the years. None of them have worked well. You can actually feel the heat from these socks and the heat lasts as long as advertised. Great product. Would recommend to any outdoor enthusiast. ConsIf you plan on being outdoors all day, you may want to pick up an extra set of batteries. These work as described. Find they perform best as a sock liner. So far the socks have kept me toasty warm on the very cold mornings here in Wisconsin. I use them with the leg cuffs. So far the cuffs have been stable and not slipped down while walking. I use these when I walk my dog. I also use a pair of regular socks on top of the warmers. Battery heated gloves to make my time outdoors bearable are also used. They are a little putsy to prepare and don, but that is the price you pay when you live in a cold climate. These were a gift.